HOUSTON -- NASA astronauts Linda Godwin and Scott Altman have announced plans to leave the agency. Godwin will retire and Altman will take a job in the private sector. Godwin joined NASA in 1980 and worked in the Payload Operations Division. She was selected as an astronaut candidate in 1985. A veteran of four spaceflights, Godwin logged more than 38 days in space, including more than 10 hours during two spacewalks. She flew aboard STS-37 in 1991; served as payload commander of STS-59 in 1994; and flew on STS-76 in 1996 and STS-108 in 2001. Godwin also supported numerous technical assignments within NASA's Astronaut Office and most recently served as the assistant to the director for exploration, Flight Crew Operations Directorate. "Linda's 30-year career at NASA was filled with contributions to the human spaceflight mission," said Brent Jett, director of Flight Crew Operations at the Johnson Space Center in Houston. "She should be proud of her service to the agency and the country." Altman, a retired U.S. Navy captain, joined NASA in March 1995. He also has flown four shuttle missions, logging more than 51 days in space. He was the pilot of STS-90 in 1998 and STS-106 in 2000, and was commander of the final two missions to the Hubble Space Telescope, STS-109 in 2002 and STS-125 in 2009. Altman also performed other technical duties within the agency, including temporary duty to NASA Headquarters as deputy director of the Requirements Division of the Exploration Systems Mission Directorate. Most recently, he served as chief of the Exploration Branch of the Astronaut Office. "Scott has been a tremendous contribution to the astronaut corps and this agency," said Peggy Whitson, chief of the Astronaut Office. "In his 15 years with NASA, he has performed flawlessly and demonstrated leadership in every position he's served. He will be greatly missed." Researchers at the National Institute of Standards and Technology (NIST) have created "quantum cats" made of photons (particles of light), boosting prospects for manipulating light in new ways to enhance precision measurements as well as computing and communications based on quantum physics. "This is a new state of light, predicted in quantum optics for a long time," says NIST research associate Thomas Gerrits, lead author of the paper. "The technologies that enable us to get these really good results are ultrafast lasers, knowledge of the type of light needed to create the cat state, and photon detectors that can actually count individual photons." The NIST team created their optical cat state by using an ultrafast laser pulse to excite special crystals to create a form of light known as a squeezed vacuum, which contains only even numbers of photons. A specific number of photons were subtracted from the squeezed vacuum using a device called a beam splitter. The photons were identified with a NIST sensor that efficiently detects and counts individual photons (see "NIST Detector Counts Photons With 99 Percent Efficiency," NIST Tech Beat, Apr. 13, 2010, at www.nist.gov/eeel/optoelectronics/detector_041310.cfm.) Depending on the number of subtracted photons, the remaining light is in a state that is a good approximation of a quantum cat says Gerrits—the best that can be achieved because nobody has been able to create a "real" one, by, for instance, the quantum equivalent to superimposing two weak laser beams with opposite phases. NIST conducts research on novel states of light because they may enhance measurement techniques such as interferometry, used to measure distance based on the interference of two light beams. The research also may contribute to quantum computing—which may someday solve some problems that are intractable today—and quantum communications, the most secure method known for protecting the privacy of a communications channel. Larger quantum cats of light are needed for accurate information processing. HOUSTON -- The next crew to live and work on the International Space Station will participate in a news conference at 1 p.m. CDT on Wednesday, Sept. 15, at NASA's Johnson Space Center in Houston. The news conference will air live on NASA Television and the agency's website. The crew also will answer questions from reporters at participating NASA centers and from those in Europe. NASA astronaut Cady Coleman and her crewmates Dmitry Kondratiev, of the Russian Space Agency, and Paolo Nespoli, of the European Space Agency, will participate in individual round-robin interviews, in person or by phone, following the news conference. The crew also will participate in a photo opportunity for reporters at Johnson. U.S. and foreign media representatives planning to attend the briefing must contact the Johnson newsroom at 281-483-5111 by 4 p.m. on Tuesday, Sept. 7. To participate in the round-robin interviews, reporters should contact the Johnson newsroom by 4 p.m. on Tuesday, Sept. 13. Coleman, Kondratiev and Nespoli will constitute three of the six crewmembers for both Expedition 26 and 27. They will launch aboard a Russian Soyuz spacecraft from the Baikonur Cosmodrome in Kazakhstan in mid-December. They will join NASA's Scott Kelly, who will command the station, and Flight Engineers Alexander Kaleri and Oleg Skripochka. Kelly, Kaleri and Skripochka will launch in a separate Soyuz on Oct. 7 and arrive at the orbiting laboratory Oct. 9. LINCOLN, Neb. -- The severe storms, tornadoes and flooding in June and the damage they caused serve as reminders of how important it is to be prepared when it comes to bad weather. One of the essential preparedness items your family should have is a National Oceanic and Atmospheric Administration (NOAA) Weather Radio. A weather radio will alert you to severe weather and dangerous conditions before they arrive. Nebraska Emergency Management Agency (NEMA) and the Federal Emergency Management Agency (FEMA) recommend that all homes and businesses have a weather radio. NOAA Weather Radio All Hazards is a nationwide network of radio stations broadcasting weather information directly from National Weather Service (NWS) offices across the country. Warnings are sent 24 hours a day following an alarm tone to alert listeners. 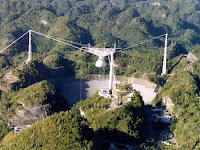 Broadcasts also are translated to serve the Spanish-speaking population. •Alarm tone – this allows the radio to be on but silent, allowing for a special tone to alert you to severe weather. •Specific Area Message Encoding – this feature provides area specific information by filtering out alerts that do not impact your immediate area. •Battery operated – since there will be times when electrical power is unavailable, a radio should be able to operate on batteries. •For those with hearing impairments – this allows radios to connect the alarms to other attention-getting devices such as personal computers and text printers. In addition to keeping you informed about severe weather, a weather radio also can alert you to man-made disasters, such as chemical releases. More information is available online at www.nws.noaa.gov/nwr. Yesterday, we defined Edge-Enabled systems and explored some real-world examples. Today, we’ll conclude by discussing how they could increase our operational effectiveness while providing a greater return-on-taxpayer-investment (ROTI). Today’s Warfighters are facing an ever-changing, ever-adapting, enemy force, so they require a system (or systems) that can adapt as fast (threshold) or faster (objective) than that enemy. Unfortunately, many of their traditional Army systems cannot adapt as quickly as necessary. However, the commercial marketplace routinely showcases this capability. LTG Sorenson (CIO/G-6 Army) recently gave a brief where he stated that, “DoD should leverage this [commercial marketplace] innovation more effectively.” He then went on to state his “Big Four” goals which all centered on transforming the current acquisition process from one that takes more than five years into one that takes months. It’s fairly obvious that there is a greater ROTI if solutions reach the field faster. Because our enemies are adapting so fast, a system that takes five years to go from requirement definition to deployment is not optimized for the current fight. As a result, that system goes underutilized or units spend additional dollars to build a solution that meets their needs. In both cases, that initial investment is wasted, but in the latter case, multiple units may end up building the same (or nearly identical solutions) because there is no mechanism to share those products. As a result, not only is the initial investment lost, but new, similar products are being developed three, four, or five times over. A better way to gain ROTI would be to create an infrastructure (and Apps for the Army is a great start) where applications can be shared, downloaded, modified, resubmitted and ranked. Think of it this way: when iPhone or Android users go to their devices marketplace, they can search and find (within seconds) pretty much any application that they can conceive of. And if they can’t find that application, odds are someone is developing it and it will be on the marketplace next time they look. We hope this brief series provides some insights on how the Army may approach this area to ultimately provide Warfighters with much needed capabilities while reducing the total life cycle costs. Again, we’re open to your thoughts on this model, so please share feedback or leave questions. For a more in-depth explanation regarding our approach, listen to the DoDLive Bloggers Roundtable discussion we had last week at the C4ISR Symposium in Baltimore. If you simply want more information about CERDEC C2D, contact our Public Affairs office, (732) 427-1594 – and be sure to follow us on Facebook and Twitter, too! NASA's Terra satellite flew over the Northwestern Pacific Ocean at 10:30 p.m. EDT Aug. 30 and captured Tropical Storm Lionrock, Tropical Storm Namtheun, and Typhoon Kompasu in one incredible image. Two of these tropical cyclones are expected to merge, while the other is headed for a landfall in China. On August 31, at 0900 UTC (5 a.m. EDT), Typhoon Kompasu had maximum sustained winds near 109 mph and is 45 nm east-southeast of Kadena AB, Japan. The cyclone will track over Okinawa within the next few hours and continue on a northwestward track for the next 12 to 24 hours, then cross the Korean Peninsula (from western to eastern Korea) into the Sea of Japan, cross northern Japan and exit into the Northwestern Pacific Ocean by September 4. 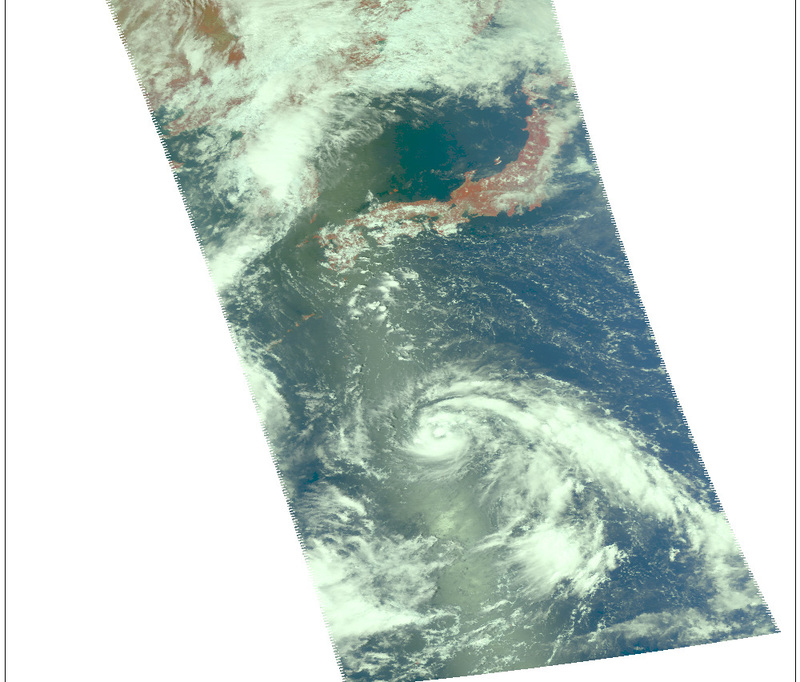 When the Moderate Resolution Imaging Spectroradiometer (MODIS) instrument that flies on Terra captured the image of all three storms the center of circulation was apparent in Tropical Storm Namtheun, and the eye was visible in Typhoon Kompasu, although some high clouds were filling in the center. At 1 a.m. EDT, Kadena Air Base wasn't reporting tropical storm force winds from Typhoon Kompasu yet. Kadena Air Base is a United States Air Force base located in the towns of Kadena and Chatan and the city of Okinawa, in Okinawa Prefecture, Japan. Kadena Air Base is the hub of U.S. airpower in the Pacific, and home to the USAF's 18th Wing and a variety of associate units. Kadena Air Base did report, however, that sea level pressure dropped and amazing 44 millibars in less than 2 hours, indicating the Typhoon was approaching. The other two tropical cyclones, Tropical Storm Lionrock and Tropical Storm Namtheun, are forecast to merge in the next day or two. 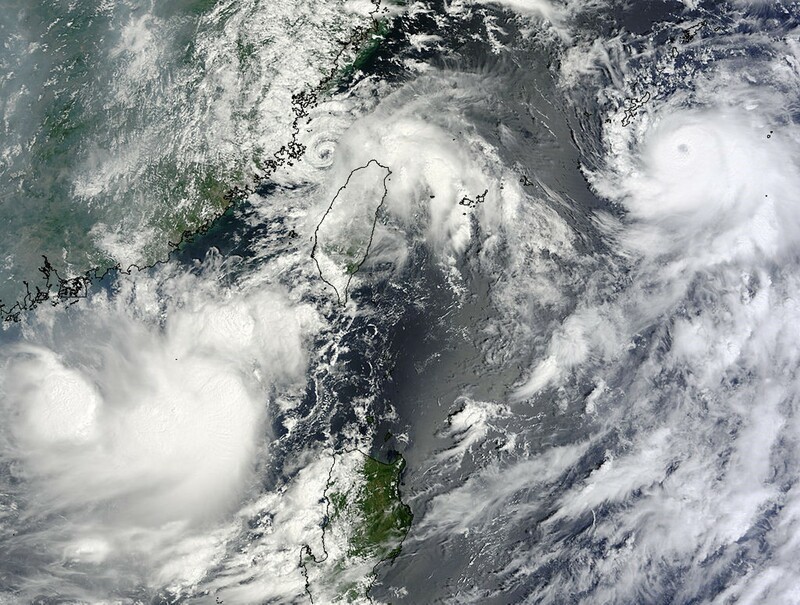 NASA satellite data show that the two storms are in close proximity of each other. On August 31 at 0900 UTC (5 a.m. EDT), Tropical Storm Lionrock, formerly Tropical Depression 07W, had maximum sustained winds near 57 mph. It was located about 195 nm southwest of Kaohsiung, Taiwan and it is forecast to merge with Tropical Storm Namtheun (formerly Tropical Depression 09W). Lionrock has moved east-northeastward at 2 mph. Infrared satellite imagery, such as that from the Atmospheric Infrared Sounder (AIRS) instrument that flies aboard NASA's Aqua satellite was showing a decrease in convection in the storm's center. By mid-day (Eastern Time) on Thursday, Lionrock should make the merge with Namtheun and turn northwestward. It is expected to make landfall in eastern China late on Thursday, September 2 and dissipate. On August 31 at 0900 UTC (5 a.m. EDT) Namtheun was about 80 nautical miles west of Taipei, Taiwan and moving west-southwestward at 8 mph. Its winds were sustained near 39 mph, so it was just at the threshold for being a tropical storm. The storm's low level center is partially exposed because of an upper level trough (elongated area of low pressure) to its north causing wind shear. Despite this, Namtheun is expected to remain the dominant circulation when it merges with Lionrock. Although similar to the solid rocket boosters that help power the space shuttle to orbit, the five-segment development motor includes several upgrades and technology improvements implemented by NASA and ATK engineers. Motor upgrades from a shuttle booster include the addition of a fifth segment, a larger nozzle throat, and upgraded insulation and liner. The motor cases are flight-proven hardware used on shuttle launches for more than three decades. The cases used in this ground test have collectively launched 48 previous missions, including STS-1, the first shuttle flight. Gaithersburg, Md. (August 31, 2010)—The National Institute of Standards and Technology (NIST) Hollings Manufacturing Extension Partnership (MEP) has awarded a grant of $1.5 million over 3 years to the Delaware Valley Industrial Resources Center (DVIRC) and the New Jersey Manufacturing Extension Partnership (NJMEP), the MEP affiliate centers in Philadelphia and New Jersey, to encourage expanded manufacturing of energy-efficient building technologies. The grant complements a larger U.S. Department of Energy project announced August 24, that provides up to $122 million to the Pennsylvania State University for an Energy Innovation Hub. To be located at the Philadelphia Navy Yard Clean Energy campus, the Hub will focus on developing energy-efficient building designs that will save energy, cut pollution, and position the United States as a leader in this industry. According to MEP, this project represents the first time that federal, state, and local public and private resources will be pooled to create a formal applied research/manufacturing cluster that spans from the lab bench, through production to implementation. “Expanding the capabilities of U.S. manufacturers to respond to the market opportunities resulting from the development of new energy efficient building technologies is key to ensuring the linkage between R&D and commercial application,” said Roger Kilmer, director of NIST MEP. DVIRC's and NJMEP's role will be to connect manufacturers, specifically small and mid-size enterprises (SMEs), to the project at all levels, including R&D, design and testing of new products, materials, technologies, and systems, and, more importantly, commercializing those opportunities for business growth and job creation. The Energy Innovation Hub will pursue a research, development and demonstration (RD&D) program targeting technologies for single buildings and district-wide systems. These new building systems and components will need to be manufactured, presenting a unique opportunity for businesses in the area to get in on the ground floor. The DVIRC in collaboration with its sister-center, the NJMEP, will leverage their knowledge of and relationships with region companies to identify technologies such as sensors, new building materials, and computer simulation tools developed by the Energy Innovation Hub, and translate them into components they can license, develop and manufacture. “We hope that this effort will be a model for public-private collaborative partnerships across the nation,” said Aimee Dobrzeniecki, deputy director of NIST MEP. WASHINGTON, Aug. 31, 2010 – The Department of Defense and all of its components maintain thousands of Facebook pages according to the assistant secretary of defense for public affairs' registry maintained on www.Defense.gov. So to think that the Department of Defense is timid about the use of social media -- think again. Facebook boasts more than 500 million users and may reach 700 million within the next year. Like Google, Facebook can be thought of as one of the world's largest countries, according to a July 22, 2010, social media article in the Economist magazine entitled "The Future Is Another Country." Public relations firm Burson-Marsteller studied the largest 100 Fortune 500 companies and found that 79 percent of them use Facebook, Twitter or YouTube; and many of them have more than four Twitter accounts. Social media is impacting new marketing approaches. There are online shopping communities where the number of participants can drive down the price of a desirable product. If the online shopping community is big enough to meet the seller's goal, bargain. If not, no sale. The times may always have been 'a-changing', but they just seem to change faster these days. David Armano, vice president of Critical Mass, a marketing company, said in 2009 that the one thing your company will do in 2010 is have a social media policy and actually enforce it. And in 2010 the Department of Defense did just that. The U.S. Deputy Secretary of Defense William J. Lynn III issued a directive-type memorandum on the "Responsible and Effective Use of Internet Capabilities" on Feb. 25, 2010, and within months servicemembers discovered they had access to social media on their computers at work. Thinking back to the introduction of email in the workplace in the late 1980's, applications like Facebook are steering computer users away from the email inbox and into exclusive online (and mobile) virtual communities where the first stop is not just email, but much more. Social media emerged in 1997 and is more than just marketing buzz today. It's proving to be a transformation technology that is changing business practices, markets and our entire information environment. The Department of Defense's new policy explains that if your organization has a Facebook page, then it's referred to as an 'official external presence' and must be registered with the assistant secretary of defense for public affairs on a list maintained on www.Defense.gov (linked under 'social media'). 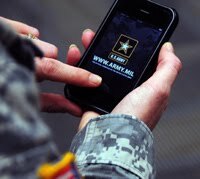 A military organization's presence on social media pages must use official logos, official website links and adhere to a list of directives and regulations. Being registered enables users, be they soldiers, family members or the public media, to confirm that a site is an official and a reliable source of information. Recognition on the DoD Social Media registry, like USAG Schinnen's Facebook page for example, confirms that it's operating under guidance from their commanders, officers-in-charge or service component and that the information posted complies with DoD policy, existing regulations and official public affairs guidance. Most of the regulations are not new, but what is new is how the Department of Defense is ensuring that their presence in social media is deliberate, coherent and on target. Even the Army's Installation Management Command, who oversees Army communities worldwide makes, it clear in their terms of reference that public affairs offices are responsible for telling the Army and IMCOM story "through all communication venues inclusive of press releases, internet, newspapers, and social media." It's important to heed the rules and the DoD isn't the only organization that monitors its official external presence. Former Home Depot operations manager Mark Pannell learned the hard way about speaking on behalf of his company without approval according to a case study reported in Fortune magazine's August 16, 2010, issue. Pannell had over 700 Twitter followers and 35 years with Home Depot when his good intentions were not welcomed by Home Depot's management despite the approval by Pannell's immediate boss. Pannell now works part-time at a coffee shop. To avoid an unwanted trip to a coffee shop, be sure your organization's official external presence is in synch with your public affairs office and the organizations web policy. If an individual thinks it's cool to start a Facebook page for their section and fail to obtain their chain of command's approval, well that's not good - plain and simple. Social media has raised privacy concerns and social media platforms like Facebook have capabilities that enable users to protect privacy, on-line discussions and messages. It behooves users to learn these features so they can worry less about privacy and focus on communicating. According to one user, simply signing up to use social media services is an effective way to protect your privacy. "One way to protect against identity theft is to sign up and register your Facebook page (or other popular social media account) before someone else does. Own your space," said Steve Dalby, an Army Europe Information Technology training specialist who teaches a Social Networking Systems and Site Awareness course. Even though the new DoD social media policy does not require organizations to use social media, it has an entire hub dedicated to social media. The U.S. Army alone has hundreds of official Facebook pages registered. Thousands more comprise the collection of Army, Navy, Air Force, Marines pages, mostly Facebook, Twitter and Flickr pages that are listed on the online registry. Social media is so pervasive now that the DoD are marching to this new drum to make sure its voice is heard. USAG Schinnen's Facebook and Twitter page are open for business and is posted on the DoD registry. Just google "USAG Schinnen, Facebook" or "USAG Schinnen, Twitter" to find them and become a 'fan' or to 'follow' them. JFC Brunssum's Community Activity Section is also on Facebook. In a June 11, 2009, Government Computer News story, Stephen Bullock, the strategic communication director for 7th Signal Command, which oversees brigades across Europe that control government computer networks, said that allowing access to Internet capabilities like Facebook on government computers was an effort to address inconsistent and often arbitrary decisions that had been made from base to base. "We gave guidance that made a consistent set of web filtering standards, resulting in better service for our users," Bullock said. • Physical security is important. Safeguard your mobile phone, secure your computer when it's not in use, lock the computer and the door when you leave and don't keep lists of your passwords lying around. • Keep online conversations light, unclassified and clean. • If you don't recognize who wants to be part of your network, simply don't let them in. • Learn and use the privacy features of your social media service. • Social media applications can enable conversations to be private. They also don't stop you from using another means to converse. Public Internet access points may not be private or secure. Private, real life conversations are alive, well and often the safest option. • The principle of "need to know" applies to military conversations just as much as it does to private conversations. Instead of posting comments on a friend's Facebook page, maybe a private message is better idea. • If you need help learning how to use social media, ask a friend. That's what being social is about. 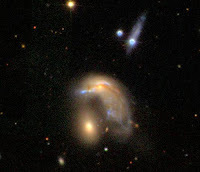 This is a composite image of the northern part of the galaxy cluster Abell 1758, located about 3.2 billion light years from Earth, showing the effects of a collision between two smaller galaxy clusters. Chandra X-ray data (blue) reveals hot gas in the cluster and data from the Giant Metrewave Radio Telescope (GMRT) in India (pink) shows huge “halos” generated by ultra-relativistic particles and magnetic fields over vast scales. Optical data from the Digitized Sky Survey are colored gold. 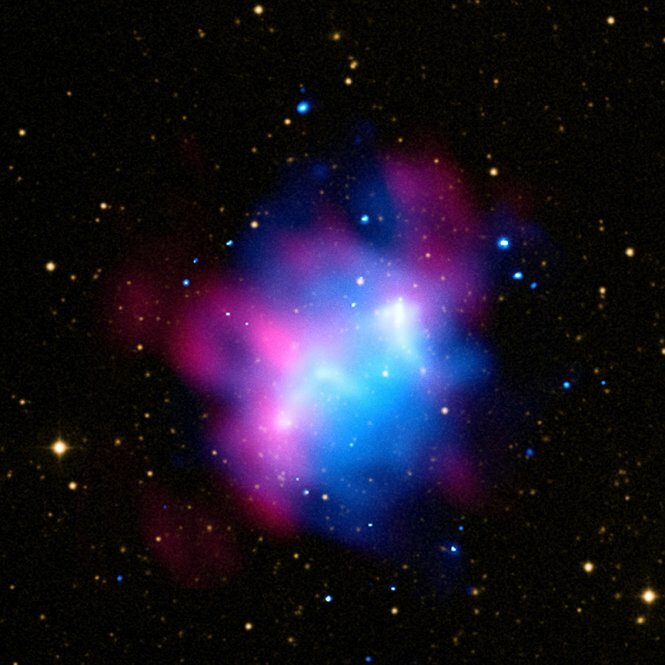 A study of this galaxy cluster and 31 others with Chandra and the GMRT shows that huge radio halos are generated during collisions between galaxy clusters. This result implies that galaxy clusters with radio halos are still forming, while clusters without this radio emission are not still accumulating large amounts of material. The result also implies that relativistic electrons are likely accelerated by turbulence generated by mergers between clusters. While island animals tend to be smaller and more primitive than their continental cousins, the theropod Balaur bondoc was as large as its relatives on other parts of the globe, and demonstrated advanced adaptations including fused bones and two terrifyingly large claws on each hind foot. A team of Paleontologists from the University of Bucharest and the American Museum of Natural History (AMNH) present their findings as the cover story of the Aug. 31 issue of the Proceedings of the National Academy of Sciences. "While we would expect that there were carnivorous animals in these faunas, finding one as unusual as Balaur is thrilling and is testament to the unusual animals found on islands today and in the past," said paleontologist and co-author Mark Norell of AMNH. The Balaur bondoc bones (Balaur from an archaic Romanian term for dragon, bondoc meaning stocky) represent the most complete predator skeleton paleontologists have found in sediments from the end of the Mesozoic in Europe. While few in number, the fossils reveal an animal perhaps six to seven feet long with a stockier build than similarly sized Velociraptors elsewhere on the globe, but numerous similarities to the more familiar predator. 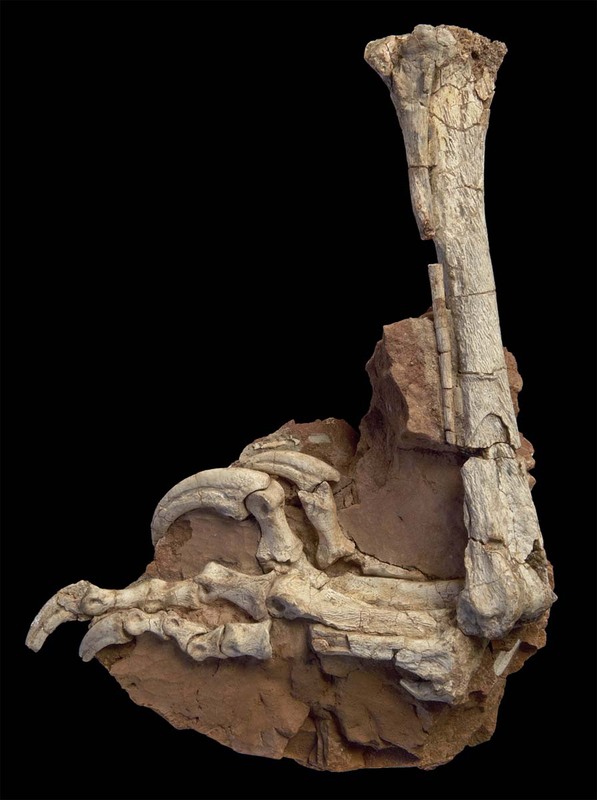 "Although Balaur is so extremely divergent morphologically, it is closely related to animals like Velociraptor and the feathered dinosaurs in China," said lead author Zoltan Csiki, a paleontologist at the University of Bucharest. "The finding indicates that this area of the world, despite its archipelago geography, had at least intermittent faunal connections with the mainland up to the end of the Cretaceous. This connection was not really acknowledged until very recently." The Balaur research was funded in part by the American Museum of Natural History, the National Science Foundation through grant EAR-0207664, the Columbia University Department of Earth and Environmental Sciences, the Romanian National University Research Council, and Richard and Lynn Jaffe. 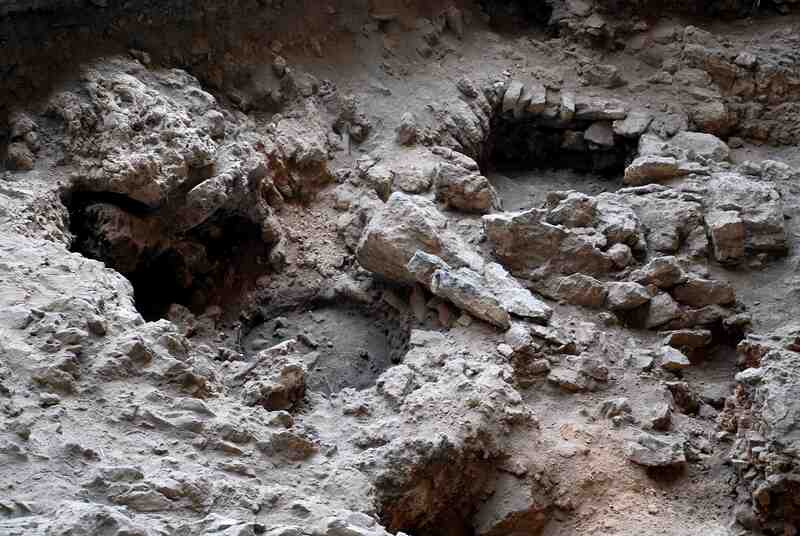 For more information about the discovery, read the AMNH press release. Michael Anthony is the Chief of the Advanced Applications Branch and Collaborative Battlespace Reasoning and Awareness (COBRA) Army Technology Objective (ATO) Manager for the US Army Research Development and Engineering Command, CERDEC, Command and Control Directorate (C2D). Ron Szymanski is a Lead Computer Scientist for CERDEC C2D and the Technical Lead for the COBRA ATO. Both are located at Aberdeen Proving Ground, MD. There has been a recent push for the Army to leverage commercial hardware, software, and graphical user interface technologies for handheld military specific use. As part of our goal to advance the Army’s agenda, the Battle Command division of the Communications-Electronics Research, Development and Engineering Center (CERDEC) is leveraging an “Edge-Enabled Systems” paradigm. I know; that’s a mouth full. But over the next two days, we’ll explain what we mean by Edge-Enabled Systems, we’ll provide some real-world examples, and we’ll end with a brief discussion on the potential return-on-taxpayer-investment. First, what the heck are we talking about? An Edge-Enabled System is one that is utilized at the “edges” of the network. Typically, the users are dismounted Warfighters or other users that do not have access to a thick client terminal. We tend to classify those users in two categories: those that use thin client (aka web only) solutions and those that use hand-held devices (tablets, mobile phones). Those users are at the “tip of the spear” and not only are collecting and transmitting relevant information on a daily basis, but also have a critical need for the most up-to-date information on their mission area. Additionally, an Edge-Enabled System “lives in the cloud.” That is to say, application data is not tied to any one device/platform. No matter where one logs in to their Facebook account, they can still access all of their pictures, their friends’ contact information and posts. Facebook doesn’t “care” where you log in from; all your data is available no matter where you are. Finally, an Edge system usually offers some type of composability. The system is customizable, offers a wide variety of configuration settings, applications, or themes to ensure that each user can have an experience that is unique to their needs. Users might even be able to build and share their own apps to the community-at-large. So how does this work and how do we intend to leverage it? We’ll discuss that and share some real-world examples in the next couple of posts. But for those who just can’t wait, feel free to listen to the DoDLive Bloggers Roundtable discussion we had last week at the C4ISR Symposium in Baltimore. In the meantime, we’re interested in your thoughts on this model, so please share comments or leave questions. If you want more information about CERDEC C2D, contact our Public Affairs office, (732) 427-1594 – and be sure to follow us on Facebook and Twitter, too! Over the weekend of August 28-29, the eighth tropical depression in the Northwestern Pacific Ocean formed and strengthened into Tropical Storm Kompasu. NASA's Aqua satellite flew over Kompasu right after it became a tropical storm on August 29 at 0411 UTC (12:11 a.m. EDT) and it appeared as tightly wound storm. The Atmospheric Infrared Sounder instrument captured visible, infrared and microwave images of Kompasu as it passed overhead from space. The infrared image revealed high, cold, strong thunderstorm cloud tops around the center of the compact storm. Those temperatures were as cold as or colder than -63 Fahrenheit indication strong convection (rapidly rising air that condenses and forms the thunderstorms that power a tropical cyclone). The convection continued to strengthen and by Monday, August 30 at 1200 UTC (8 a.m. EDT), Kompasu had grown to Typhoon strength with maximum sustained winds near 86 mph (75 knots). Kompasu was about 240 nautical miles southeast of Kadena, Japan, near 23.7 North and 131.2 East. It was moving northwestward near 8 mph, and kicking up 17 foot -high seas. It is expected to curve to the north-northeast and then become extratropical before it reaches the Korean peninsula. 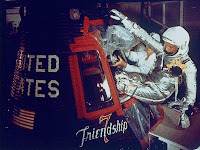 WASHINGTON -- Three compilations of images from more than half a century of NASA history are available for comment on a section of the photo-sharing site Flickr known as The Commons. 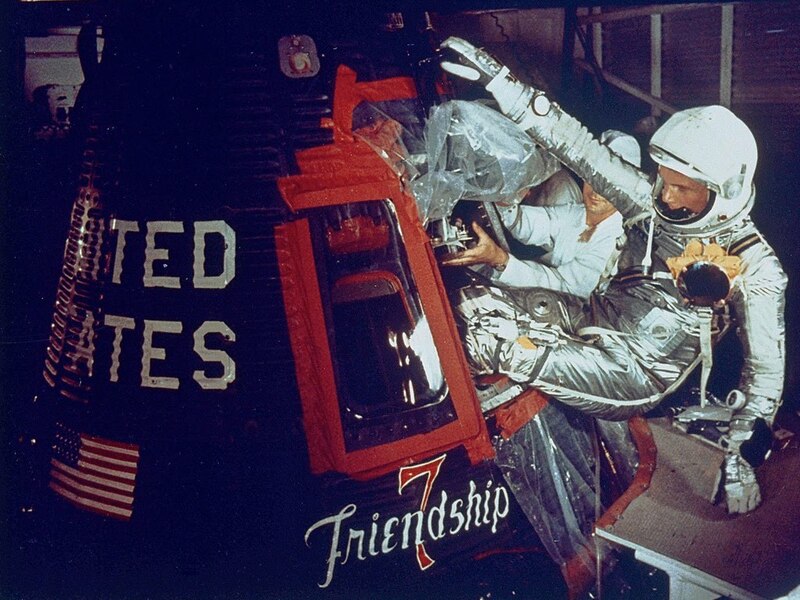 Three sets of photos share a common theme of NASA beginnings. The "Launch and Takeoff" set captures iconic spacecraft and aircraft taking flight. "Building NASA" spotlights ground-breaking events and the construction of some of NASA's one-of-a-kind facilities. The "Center Namesakes" set features photos of the founders and figureheads of NASA's 10 field centers. 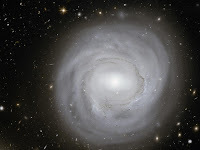 To view NASA on The Commons images, visit http://www.flickr.com/photos/nasacommons. NestWatch data can be viewed, downloaded and explored by anyone interested in birds and their habitats. Aug. 27, 2010 - The Defense Department's newest high school is devoid of walls or windows, but yet has opened its "doors" this year to students scattered around the globe. The courses are self-paced, but students still receive support every step of the way. Teachers are located in three hubs -- Wiesbaden, Germany; Camp Humphries, South Korea; and Arlington, Va. – and offer real-time online support to students scattered worldwide in a range of time zones, Riley said. FORT DETRICK, Md. (NNS) -- Naval Medical Logistics Command (NMLC) announced Aug. 26 that the Vaccine Information and Logistics System (VIALS) can now process and generate seasonal influenza vaccine requisitions for ashore and afloat Navy activities. "VIALS is an internal database developed to process vaccine program requirements accurately and timely," said Cmdr. Mary Seymour, NMLC executive officer. "Creating the automated database enhances our ability to process and manage centrally funded vaccine programs such as the 2010-2011 Seasonal Influenza Vaccine Program." VIALS is being developed incrementally. The initial working model became available in February and was used to capture Navy-wide requirements for the FY 10-11 seasonal influenza program. As a result, requirements from ashore and afloat activities have now been turned into requisitions and sent to the Defense Supply Center Philadelphia (DSCP). As the vaccine becomes available, DSCP will ship it to the requesting activities to fill orders in accordance with the NMLC release plans that reflect priority guidance directed by the Office of the Chief of Naval Operations. "Getting VIALS up and running opens doors to using this type of database for all commodities that NMLC manages," said Seymour. "It is a great use of our resources and another example of our commitment to providing our customers with quality medical logistics support requirements throughout the enterprise." Easy to use, VIALS will provide the Navy with an efficient accounting of vaccine requirements, purchases and deliveries. It will also have the capability to provide executive reporting on program status, while providing field-level activities with status and tracking information on their specific requirements. "The value of sharing information across Navy Medicine and with our Fleet customers reduces variability within the supply chain," said Lt. Cmdr. Daniel Kachenchai, director for Medical Equipment and Logistics Solutions (MELS). "VIALS will allow NMLC to virtually manage the supply chain while offering real-time reporting metrics to support our customer base." The MELS Directorate's effort to provide detailed documentation of the existing seasonal influenza vaccine process was critical to developing the VIALS database. Their coordination with the Operational Forces Support Directorate ensured the needs of both ashore and afloat activities were met. Influenza can be a life-threatening disease that annually results in more than 30,000 U.S. deaths. Receiving an annual influenza vaccine immunization protects many people from getting the disease or becoming severely ill and helps protect entire communities by preventing and reducing the spread of the disease. The Department of Defense has mandated a policy of annual seasonal influenza vaccinations for all active duty military personnel and selective reserves. With the goal of 100 percent immunization compliance by Dec. 1, 2010, Navy Medicine will be monitoring the influenza virus carefully over the coming weeks and months. Rich Schlegel, NMLC director for Operational Forces Support, said VIALS is another way NMLC is directly supporting the DoD mandate, Navy Medicine and the fleet. "Providing the same level of visibility seasonal flu vaccine requisitions that fleet customer's are accustomed to for their equipment purchases will ensure accurate reporting and forecasting of medical readiness for those Sailors at the tip of the spear," Schlegel said. NMLC's rapid development of VIALS is designed to keep pace with the seasonal influenza program and be fully capable of processing vaccine distribution data. For additional information or help with VIALS, contact NMLC-VialsHelp@med.navy.mil. NMLC is the center of logistics expertise for Navy Medicine, designing, executing and administering individualized state-of-the-art solutions to meet customer's medical materiel and healthcare support needs. The Air Force today announced the realignment of some Headquarters Air Force space functions, following the recent completion of a review of Headquarters Air Force space management and responsibilities, which was directed by Secretary of the Air Force Michael B. Donley in December 2009. In a memorandum signed today, Donley reinforced some existing alignments and directed several changes to Air Force Headquarters space organization. This would include the identification of the under secretary of the Air Force as the focal point for space within the Headquarters Air Force, with responsibility for coordination of functions and activities across the Air Force space enterprise, and the realignment of space acquisition from the under secretary of the Air Force’s office to the assistant secretary of the Air Force for acquisition. The review was focused on Headquarters Air Force, so it did not address any changes within field organizations such as Air Force Space Command or the Space and Missile Systems Center. Richard W. McKinney, who was recently named deputy under secretary for space programs, led the review that involved more than 70 interviews with key individuals and organizations from the Air Force, DoD, Congress, and other space related government, commercial, and international organizations. The transit signatures of two distinct Saturn-sized planets were seen in the data for a sun-like star designated "Kepler-9." The planets were named Kepler-9b and 9c. The discovery incorporates seven months of observations of more than 156,000 stars as part of an ongoing search for Earth-sized planets outside our solar system. The findings will be published in Thursday's issue of the journal Science. "Kepler's high quality data and round-the-clock coverage of transiting objects enable a whole host of unique measurements to be made of the parent stars and their planetary systems," said Doug Hudgins, the Kepler program scientist at NASA Headquarters in Washington DC. Christopher Hurley is an engineer with the Army Power division of the U.S. Army Communications-Electronics Research, Development and Engineering Center (CERDEC), which is located at Fort Monmouth, N.J. Mr Hurley is manager for the Dismounted Soldier Power Army Technology Objective and specializes in energy storage devices. Last day of the symposium and CERDEC Army Power will be wrapping it up with a media roundtable today! In addition to the “traditional” R&D efforts, I hope we get questions regarding our work in alternative power solutions. We’re developing fuel cells, smart grids and environmental control units; harvesting wind and solar power; and examining waste-to-energy and biofuels. But one of the more novel projects we’re developing is a power source which converts commonly available sugars directly into electrical energy. The bio-battery (enzymatic fuel cell) uses enzymes to convert sugar into energy similar to the way your body uses enzymes to convert food into energy. Researchers have spent the last five years working on a unique recipe for a reproducible, stable bio-battery which is both low cost and green. The bio-battery has numerous advantages over existing batteries. The biggest of which is that it allows for instant recharge (through supply of more sugar) in comparison with traditional batteries which require access to power for two or more hours. In comparison to fuel cells, the bio-battery has the advantage of a non-toxic, non-flammable fuel source (sugar) which is already in the Army supply chain. This is a huge logistics bonus considering the military’s one-fuel-forward policy makes providing methanol, hydrogen and other alternative fuels difficult. The first target application is to provide a clean renewable power source for the Warfighter and fulfill a critical role in lightening the soldier’s load. In today’s increasingly electronic Army, Soldiers carry 20-40 pounds of batteries for a typical 72-hour mission. The bio-battery is designed to be a mission-extender to decrease the number of batteries carried by the Warfighter. Other Defense Department applications include a range of remote monitoring, sensing and surveillance needs. Finally, applications are foreseen in implantable applications where the bio-battery can produce power indefinitely from a self-sustaining supply of sugar bearing materials in both plants and animals. The promise of the technology was recently demonstrated at the Power Sources Conference where the bio-battery was connected to an electronic device comprising a Microprocessor and LCD display. The bio-battery was able to power the system for over 10 hours using less than 20mL of sugar solution. The current intent of this innovative technology is to integrate it with military systems and demonstrate it in field trials in 2011. The potential is very exciting, and I’d like to hear you thoughts regarding this or other alternative energy/power solutions – especially if you have recommendations or lessons learned. If so, visit Army Power or contact CERDEC Public Affairs: (732) 427-1594. Aug. 25, 2010 - An infected flash drive inserted into a Defense Department computer in 2008 caused "a significant compromise" of the department's classified computer networks and was a "wake-up call" for Pentagon officials to expedite cyber defense measures, the deputy secretary of defense revealed in a new magazine article. The previously classified incident caused the most significant breach ever to U.S. military computers, William J. Lynn III wrote for an article appearing in the September/October issue of Foreign Affairs magazine. Titled "Defending a New Domain," the article outlines the evolution of computer network threats and measures the department has put into place to deal with them. The frequency and sophistication of intrusions into U.S. military networks have increased exponentially in the past 10 years, Lynn wrote. They now are probed thousands of times and scanned millions of times, every day, he added. Sometimes the adversaries are successful, Lynn said, and they have acquired thousands of files from Defense Department networks and those of the Pentagon's industry partners and U.S. allies, including weapons blueprints, operational plans and surveillance data. To counter the threat, the Pentagon has built "layered and robust defenses" around military networks and created the new U.S. Cyber Command to integrate processes, Lynn said. Department officials are working with their counterparts at the Homeland Security Department, which has jurisdiction over the "dot-com" and "dot-gov" domains, to protect the networks. The Defense Department has 15,000 networks and 7 million computing devices in use in dozens of countries, with 90,000 people working to maintain them, Lynn said, and it depends heavily on commercial industry for its network operations. "Information technology enables almost everything the U.S. military does," Lynn wrote, from logistical support and command and control to real-time intelligence and remote operations. Any future conflict will include cybersecurity, he has said. -- The Defense Department must help to maintain and leverage U.S. technological dominance and improve the acquisitions process to keep up with the speed and agility of the information technology industry. Pentagon officials are developing a cyber strategy document to be released in the fall. It will address, among other things, any statutory changes needed for cyber defense, and the capability for "automated defenses," such as the ability block malware at top speed, Lynn has said. On Easter Sunday 2010, police detectives responding to a homicide within the Kansas City metropolitan area requested the Johnson County Criminalistics Lab to dispatch its crime scene investigation unit. For Ryan Rezzelle, supervisor of the lab’s five crime scene investigators, the call represented an unexpected opportunity.